Imagine if you didn’t have email and all messages would arrive as real letters delivered by a trusty mailman? Now wouldn’t that be a nightmare, even if we don’t add spam to the count. While email is definitely a huge step ahead without a bit of tweaking, it’s not going to help you much when having to deal with dozens of new messages every day. 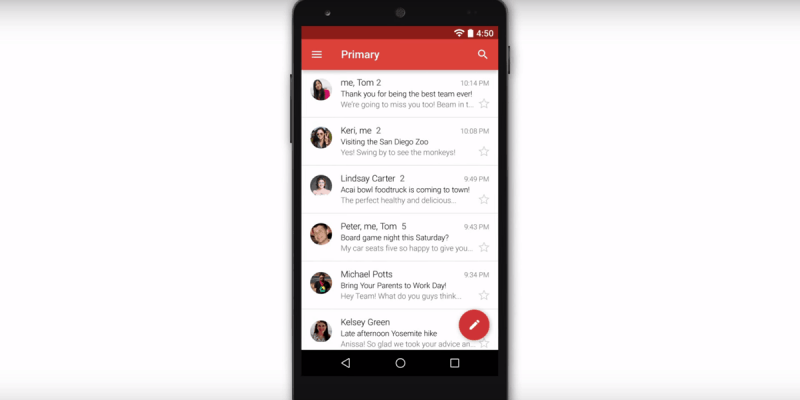 The Gmail app for Android works decent enough out of the box, but it does have a few aces up its sleeve that can help you stay on top of your email accounts without losing your sanity. I realize I’m stating the obvious right now, but please be aware the features listed below are specific of the Gmail app for Android, and we’re using the latest version to date, and so should you. 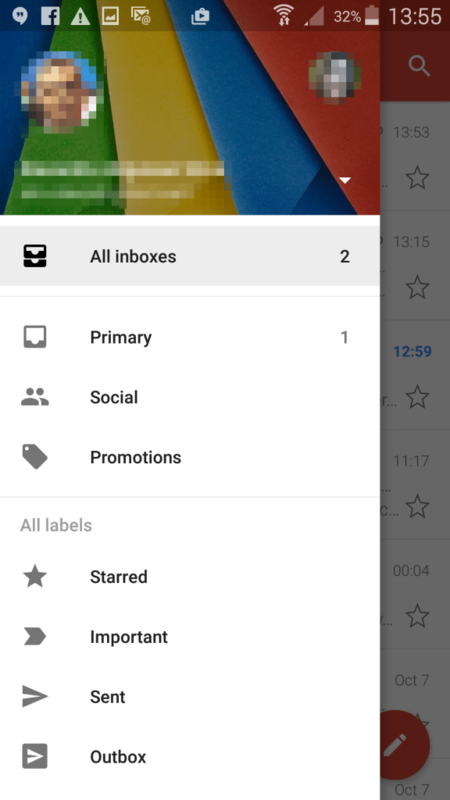 Gmail for Android now offers a unified Inbox where you can add multiple Gmail accounts but also personal IMAP or POP accounts from other services such as Yahoo and Outlook. As a result you can practically view all your email inboxes, separately or merged (in the All Inboxes section) within the Gmail app. To add more accounts tap on the hamburger icon and access the drop-down menu available on the left, right below your avatar. After you added at least one more account besides the primary one a new All Inboxes entry will show in the left-hand panel, where you can see messages received on all email accounts you added in Gmail. To have a functional email client it will have to sync properly, so make sure yours does. Go to Settings in the Gmail app, and tap on any of the email addresses that are listed to see if messages are set to sync. 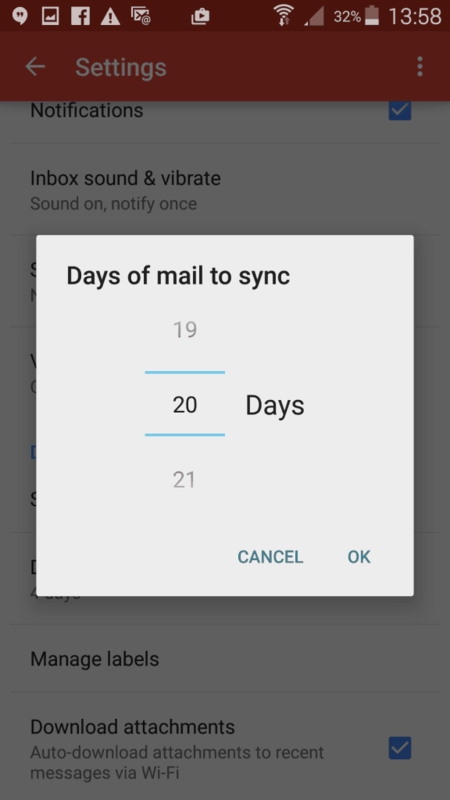 Also, you can set the number of days of emails to be cached and what labels should be included. If you experience sync problems afterwards we recommend you disconnect and reconnect your Gmail account or remove the Gmail app from your phone and reinstall it. The search function in Gmail is pretty straightforward at first sight. Just type in the keyword(s) you want and results will be displayed right away. But Gmail as a service (not just the app) offers search operators that let you sift through your emails in a more accurate manner. The example in the image above illustrates how this works. You don’t need to learn them by heart, unless you use them very often, in which case it will happen anyway. All you have to do is take a peek at this list of search operators provided by Google, whenever you need a bit of extra search power. Faster is always better and the Gmail app for Android offers plenty of quick actions for common tasks. Tap profile pics (or letters) to select multiple messages and archive emails by swiping left or right. When you select messages by tapping profile pics they’ll turn into check marks and several actions become available at the top of the screen, specifically archive, delete and mark as read/unread. However, you can access additional options by tapping on the three dots icon (More menu). If you have some prolific conversations in your inbox there might be times when you’d want to ‘unsee’ them, at least for a while. This way your inbox will be clutter-free and only important messages will be displayed. Both the web and the Android versions of Gmail have a Mute function. It automatically archives new messages received in threads – they won’t show up in the inbox, but they remain marked as Unread. 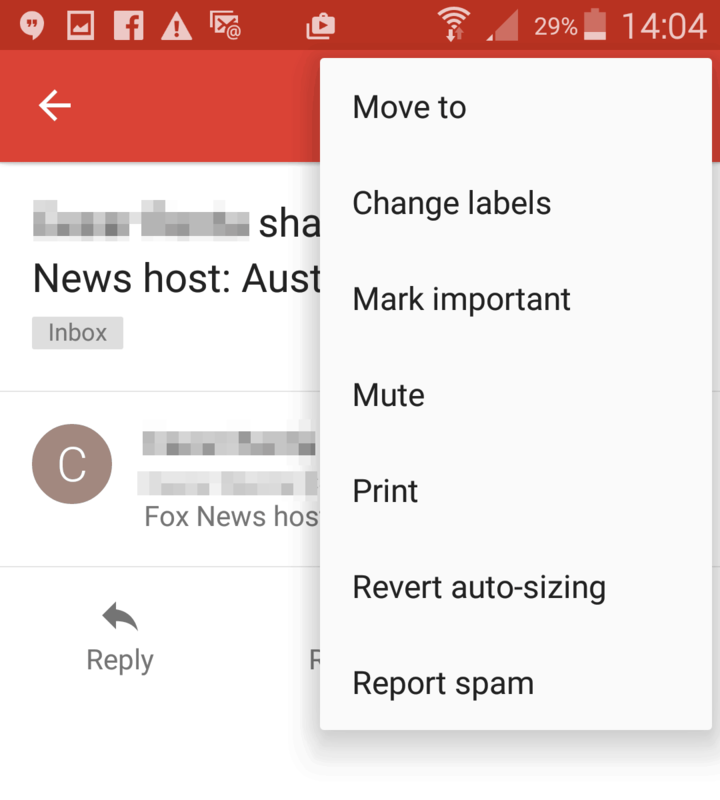 To mute a conversation in the Gmail app tap somewhere inside it and then tap on the three dot icon and select Mute from the options.You can retrieve that thread later from the archive if you need to. If you’re a Gmail user you already know the service has a number of inboxes that categorize your emails: Inbox, Priority Inbox, Spam, trash and so on. Usually everything ends up where it’s supposed to, but when it doesn’t you can fix the problem yourself. If an unimportant email appears in the wrong inbox open the More menu and use the ‘Mark as not important’ or ‘Report spam’ options depending on the case. And if the opposite situation occurs, for example an important message ends up in Spam, you can use the ‘Report not spam’ or ‘Mark important’ options from the More menu. Your work won’t be for nothing. 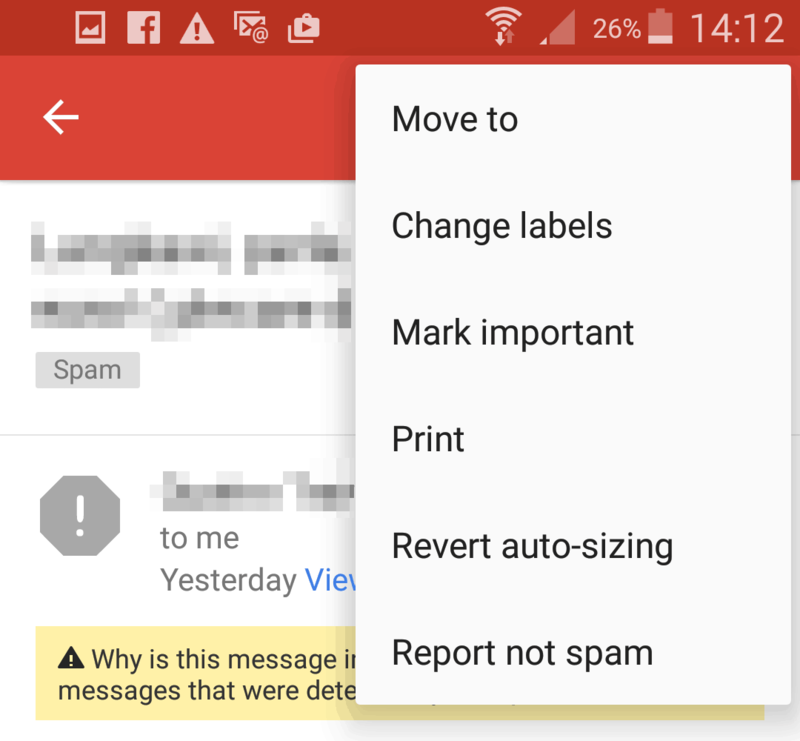 All these manual actions will teach Gmail how to better sort your emails in the future. 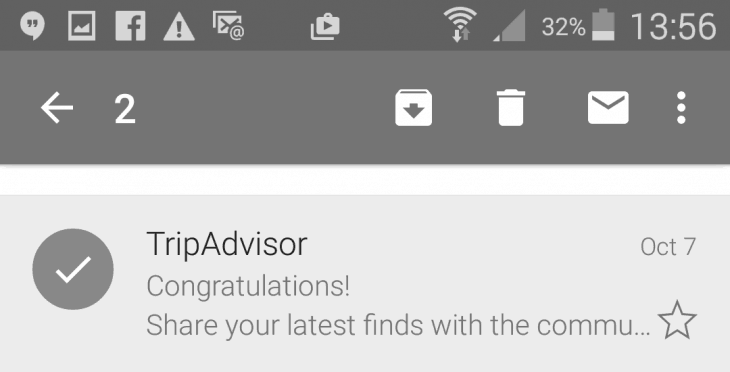 When you need to go through a large number of emails at once, regardless if you’re just reading them or actually writing replies, Auto-Advance is a feature that can speed up the process a bit. After you perform an action like deleting or archiving a message you’ll be taken automatically to the next email if you have Auto-Advance on. You can enable it in Gmail’s Settings -> General Settings -> Auto-advance. 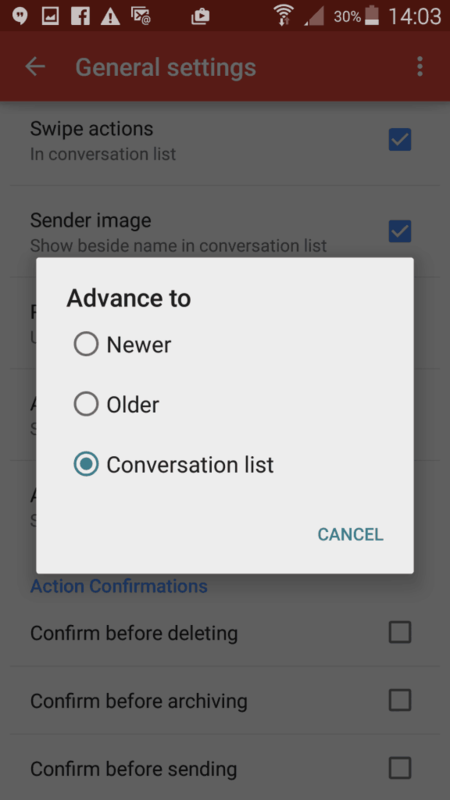 The feature offers three options – it can jump to a newer message, an older message or return to the conversation list. Do you know other useful tips for Gmail? Let us know in the comments section and don’t forget to follow us on Facebook, Twitter and Google+ to stay up to date with our latest reviews and guides for mobile apps and games.